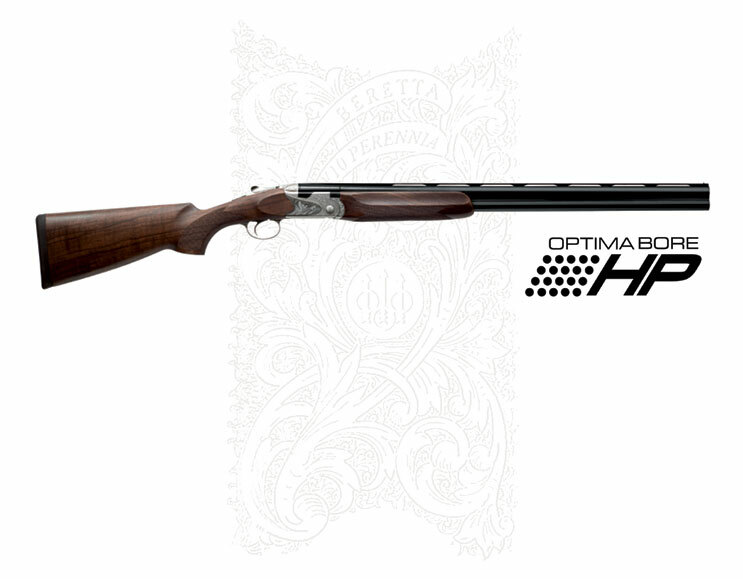 Manufactured from the highest strength alloys using the exclusive process of cold hammer forging, which guarantees the perfect concentricity of the tubes, the barrels of the new Beretta Perennia are extremely strong yet, at the same time, light. Designed to be able to withstand the rigors of steel shot, they feature a new internal Optima-Bore® HP (High Performance) profile with a longer forcing cone which improves patterning and contributes to reduce felt recoil. The bore and chamber are completely chrome lined to guarantee maximum resistance to corrosion and wear, and to increase the velocity of the shot. The new profile of the barrels joins form and function: the tubes blend harmoniously with the monobloc, mating the streamlined profile of the receiver and, at the same time, ensuring excellent durability and strength. The external surfaces of the barrels are finished in a resistant polished blueing.